We all know you can probably have too much of a good thing, but whether you take this advice on board is up to you. You can have too much chocolate, or equally gorge yourself silly on football, but what about too much gambling? Of course the line has to be drawn somewhere, as not every waking second can be dedicated to either thinking about or actually gambling. How much is too much? Perhaps getting a personalised number plate – GAM3RPR0 or something – would be testing the limits, but what of preferring films based on gambling, rather than romantic comedies? We see nothing wrong with that, as there’s only so many times you can sit through Pretty Woman again, laughing at the same jokes. Films of that type all seem to follow the same theme anyway, whereas gambling films cut across genres. Like the activity itself, gambling films are capable of surprise, as this list of our favourite ones makes clear. So why not settle in for the night and watch them all back to back? It’ll be time well spent in our view. You have to hand it to George Clooney, don’t you. He’s come a long way since his square-jawed turn as Doug Ross in ER set hearts fluttering. He’s still capable of doing just that of course, but he quickly became so much more than just a television actor. His transformation is now complete, from once being the world’s most eligible bachelor with a pot-bellied pig for a pet to now being married to one of the world’s foremost human rights lawyers. The pig has long gone, replaced by a pair of children and a matching number of Oscars. We don’t know how he manages to cope with it all, nor how he tolerates the view from his home on Lake Como. Anyway, gorgeous George soon showed there was more than one string to his bow, as he quickly became a highly sought after director, producer and screenwriter. Ocean’s Eleven was something of a turning point, as he moved seamlessly into becoming his generation’s Frank Sinatra, with his own Rat Pack of good mates in the cast of the remake of the 1960 original, which featured Old Blue Eyes himself and all his usual pals. Vinnie Jones couldn’t be more different than George Clooney, at least on first inspection. A former professional footballer and even more professional hardcase, it was once as likely to reckon he would make it in Hollywood as you were to land three zeros in a row on the roulette wheel. But he only went and did just that, with his first appearance on screen coming in this crime caper that also couldn’t be more different than Clooney’s own vehicle for preening around and looking fabulous. While Ocean’s Eleven was all polished and glamorous Las Vegas casinos, Lock Stock, as it came to be affectionately known, was all gritty east London hoodlums and shabby card sharks. It also featured a cast speaking such a broad level of Cockney that some of the dialogue was as indecipherable to international audiences as some equally couldn’t fathom how good Clooney looked in a suit. 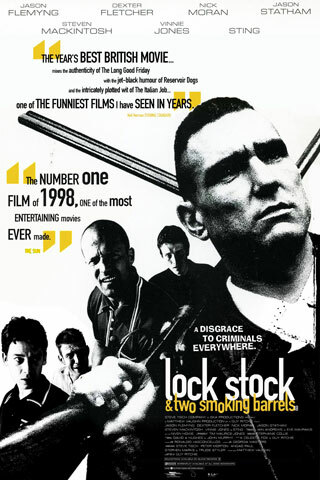 But none of that stopped Lock Stock from becoming a smash, nor from its director, Guy Ritchie, plunging headfirst into vanity projects and a brief period of faux-Cockney living with Madonna. We could hardly dare not include it, could we, as it came from the hand of Scorsese himself, or the director behind some of the most memorable moments in cinema history generally. Just like Clooney can be banked on to get his mates involved in his projects, so too here was Scorsese reunited with Robert de Niro again, for their eighth collaboration. 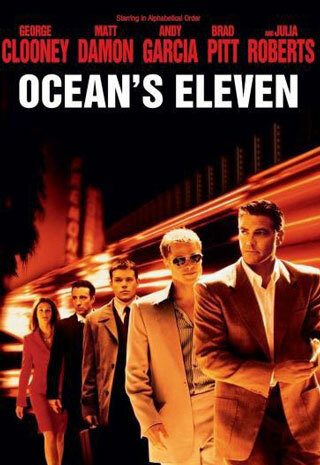 We’re a long way from Lock Stock territory here, as once again we return to the Las Vegas backdrop of Ocean’s Eleven. 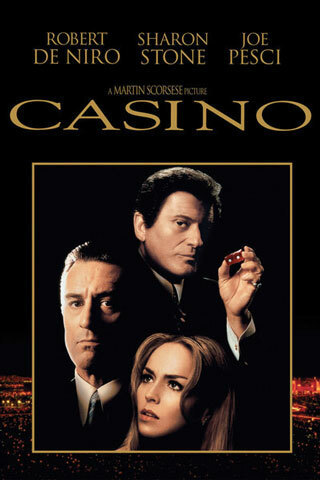 Las Vegas and all its casinos are home turf to the gambling industry really, but the tone of Casino is much darker than Ocean’s Eleven, as the murky end of organised crime and their grip on gambling are the plot, with Vegas a malevolent presence throughout. Fortunately, we’re also a long way removed nowadays from how some casinos once were, as the expression has it, mobbed up. Casinos and gambling generally have rid themselves of many of their problems, but they remain places in which dreams can be made or lost and stories begun or ended. Casino though takes an unflinching view at this troubling past, and shows the progress the industry has made. It’s time for a bit of fluff again, before it all turns a bit serious, and there’s hardly any action flick fluffier than one featuring James Bond. This film was no exception, as it ramped up the glamour, drama and violence surrounding the world’s most famous fictional spy to preposterous levels. 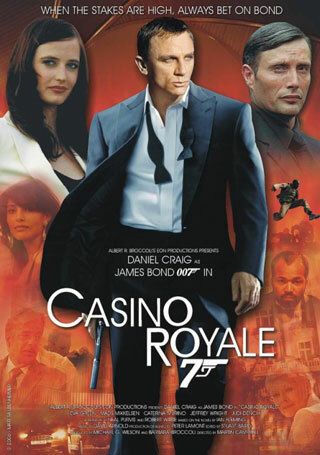 But we like things that aren’t afraid to be over the top, and Casino Royale shows no fear at all. For Daniel Craig’s first outing as Bond, the franchise throws off its Sean Connery shackles and presents Bond as a wounded and haunted character, but one who remains partial to Martinis, the lure of a beautiful woman and games of high stakes Texas hold’em poker, or even all three together. Now most of us will have pulled up a chair to a Texas hold’em game, but we’d wager none of us have had to put down a $10 million buy-in, which is the figure that every player must stake during the infamous showdown scene. With a bit of luck, none of us has ever been poisoned and faced death square in the face either, as happens to Bond at the bidding of the villainous Le Chiffre during the game. As for us, we prefer to bring crisps and beer to a game of poker, rather than digitalis poison, but whatever floats your boat. We end with a bona fide classic, and a film of such stature we can refer to its pair of leading men, Redford and Newman, together again after their turn in Butch Cassidy and the Sundance Kid, without reference to their first names. If we also dropped the first word of the film title, we’d be left with Sting. Strangely enough, Sting happened to be in Lock Stock. Not only that, but Bond ends Casino Royale sitting at the shore of Lake Como. Which is where Clooney has a home. 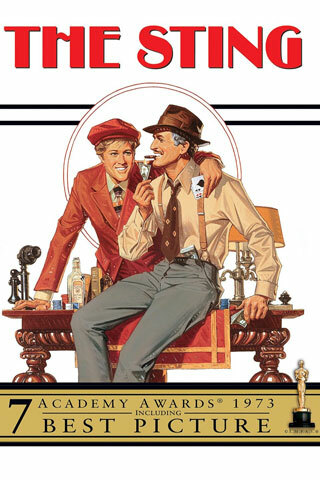 All of which is as unlikely and convoluted as the plot of The Sting, a true high-jinks caper. Doing justice to the plot is an impossible job, as it takes concentration to follow what’s going on in the world of bluff, counter bluff and double bluff, but it revolves around a staged horse race and an equally fake bookies, while also taking in another game of poker. The denouement is one of the finest in all cinema, with the meticulously crafted sting operation working perfectly – so long as you’re on the right side of the law, that is. So there you have it – the five most memorable gambling films ever. We can’t guarantee you any winnings for sitting through all of them in order, but we can guarantee you an assortment of thrills and spills. Watching them all will be a journey as exhilarating as gambling itself.